CRISPR/Cas gene editing burst into the in vivo genetic engineering scene almost two year ago. Numerous models have been created and characterized. How is this technology holding up against all the hype? 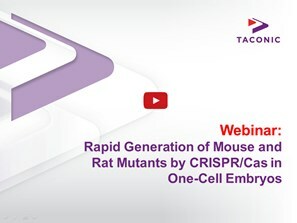 This webinar will address some of the experiences from Taconic’s implementation of CRISPR/Cas-technology to routine model generation.